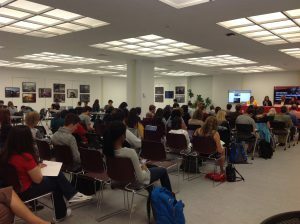 On September 26th, University Libraries welcomed photographer Rachel Woolf and her award winning photos to Central Reading Room. Nancy Hiemstra, Geographer; Assistant Professor, Women’s, Gender, and Sexuality Studies; Author of Deportation and Detention (forthcoming, 2019); Irma Solis, New York Civil Liberties Union (Suffolk County); Richard Koubek, Long Island Jobs with Justice and Christopher Sellers, Professor of History and Director of the Center for the Study of Inequalities, Social Justice, and Policy as moderator joined Rachel in an engaging and informative panel discussion. 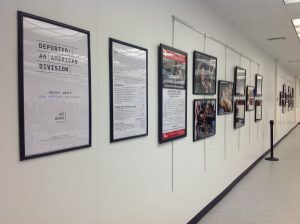 Thank you to Rachel Woolf for sharing her beautiful photographs and depicting the experience of Lourdes Salazar Bautista and her family as she was deported to Mexico. 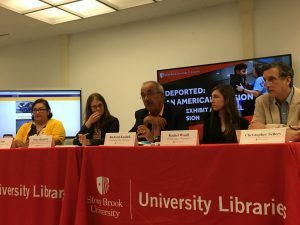 Thank you to the panelists for sharing your expertise on the current state of deportation in the United States. 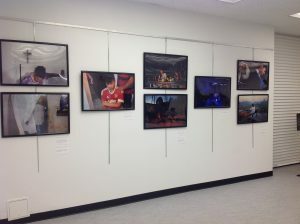 Please stop by Central Reading Room in Melville Library to see Rachel Woolf’s exhibit through October 26th.